I have recently covered branding in terms of digital linking of company name and products to specific links related to a company brand domain or URL. However, I covered the topic in tandem with digital asset management and in a way branding is a topic all onto itself deserving more of an analysis. Branding, including link building and other digital practices, is also an innovative way for companies to stand out digitally in the competitive online marketplace of today. Many people also confuse branding with marketing and vice versa. You may be asking yourself: what is the difference between branding and marketing and which of the two should my company be focusing on? The answer is that they are similar in the sense they are about getting a company noticed, but different implementations of recognition. This includes different practices in the entire process of keeping a company competitive, unique and customers coming back. Branding deals more with an image or the quality and assets that go along with it. These may include a company logo, company values, a message that should resonate with a desired company audience and things of this nature. Marketing, on the other hand, deals with tasks and activities in terms of communicating with an audience or making the company’s presence felt. It is getting a message out there to prospective audience or customers. It is also about capturing leads and includes aspects such as social media coordination or email campaigns. Both of these aspects are important for successful companies to thrive and expand their customer bases. A successful or thriving company should have a message that resonates with an audience and makes its values known through branding. It should also have assets, such as a logo, that become part of this message and image. However, it also needs effective marketing to showcase its brand to new audiences and expand in reach. Once branding and marketing is done in an effective fashion, the third step in the process takes place and that is sales. I recently wrote about two methods for companies to make themselves standout in the digital place: custom links for branding and digital asset management. I would like to go more into branding links in the digital or online marketplace as a way for companies to stay ahead of the curb. One of the main benefits and ideas of link branding is that it can allow companies to send custom email messages through domains they control and be able to reach customers while bypassing their spam filters. However, this is just one aspect or example of it. There are also link branding services that do not deal with email, but the actual hosting of files and linking those files or data effectively. As I previously mentioned, pCloud recently has added a service of its own that is tied to its cloud hosting suite. It will allow you to set up a customizations to help your company assets stay secure and easily identifiable. The service pCloud recently added however seems to focus less on email spam folders but more with the integration of the cloud storage and being able to share files with different individuals. The link becomes branded or tailored to the individual and he or she cans end the link with the desired work files to say a creative agency or a coworker. Since it comes with the ability to track who has viewed or downloaded the link’s content or data, it can make organizing files easier and for files related to the user’s company brand to stand out. Rebrandly is another example of this. The company specializes in shortening links and making them unique or tied to the fompany’s branding efforts. It also allows for the custom domain name thus helping with the ability to bypass email filters I previously mentioned. The service also comes with a wide range of integrations, which include Firefox extension, Chrome extension, an app on iOS, an Android app, the ability to migrate existing or other links into the service and more. You can easily register a new custom domain with Rebrandly with a simple set-up process. Other examples of branding include having a recognizable logo that you should hire a good graphic designer or someone with a knowledge of the company’s message to create. Apple’s logo is a good example of a very minimalist, but effective, logo that stood the test of time. The logo Apple uses in its electronic products is unique and stands out from any similar logos or even interpretations of the fruit, but at the same time is not complex by any means. Whether anyone sees this logo they will know the company in question, hint: Apple, being talked about and think of Apple products automatically. It simply resonates with an audience and it took Apple many years and constant battle with competition in order to make it happen. I am a big fan of minimalism and what I like about Apple’s logo is the different interpretations of it possible at a whim. Here is one below, for instance, I found via Unsplash open source images and my own interpretations what I did a while back myself with Apple’s logo idea. 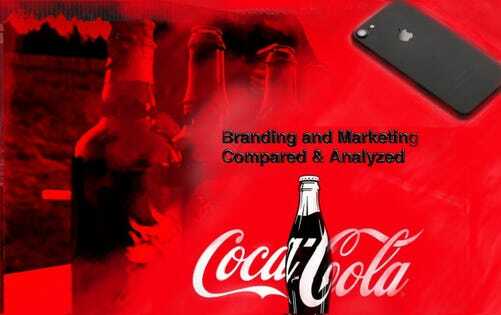 Coca-Cola is another great example of branding done in the visual sense. You may right away think of a red background or maybe even a Santa Claus when someone mentions CocaCola to you. It is also minimalism and simple in design, but very effective visually — particularly in terms of color and fidelity to the brand image. The use of both red and white is so profound yet minimalism simultaneously. Fabrik wrote a great article on the history of this brand and how it really resonated with an audience through imagery and branding. You can read it here. A good example of visual branding with a smaller business is Surly Brewing Company. This company has a very effective visual touch on its product labels and a website that stands out and makes the product recognizable. The brewing company offers a very effective branding strategy in both its logo and visual content. Just take a look at its website to see its website bright red colors take you to an intense bar atmosphere. Even the actual cans are red and resonate with this message; thus if you go to a store, you can pick out a bootle right away amongst competitors. This is an example of great branding visual. Website screenshot of http://bit.ly/2NTcJTBSurly Brewing Co. This is where I would like to mention some innovative uses of marketing. When you have effective branding, such as a message that resonates with your audience, you can use technology like gaming or video streaming to advertise this to your audience and prospective audiences. You can use online marketing to send potential users a link to your Facebook messenger-based game, for instance, as a form of marketing one effective branding has been established. Chatbots are a verye ffective and innovative method of accomplishing modern marketing efforts. They allow users to interact with Facebook messenger without a human present and can direct them to visual content, games or answers to their questions related to the brand. Branding deals with people being able to recognize or identify a business and company. A logo can go a long way with that. Another good use of effective branding is catchphrases that resonate with an audience. These catchphrases should be effective, short, deal with the company or brand, and make a statement. However, I use the term catchphrases for text related to a brand message, but there are two main things to consider in this regard: taglines and slogans. And these differ a bit. Slogans tend to be longer than tagline and encompass a company’s mission more so than taglines, which tend to simply be phrases that create associations with customers of a particular brand. Taglines also tend do appear more often next to a logo periodically or long term as well as in ads people see. On the other hand, slogans are messages that appear more related to a company as a whole than a single product. However, I would like to put both of these aspects of branding under catchphrases as that I think is a good way to describe phrases that resonate with an audience and make people remember a particular brand. For me, the two examples I can think of from the top of my head that really resonated with me and gave me a vibe of a very effective brand include Mastercard and Milk (when I was in California). You may have heard the Mastercard slogan: “there are some things money can’t buy. For everything else, there is Mastercard.” This is great branding as it really stuck especially with heavy marketing and advertising efforts. The second good example of branding is: “Got Milk?” from the California Milk Processing Board. This was a simple phrase, but it really stuck and the advertising behind it was effective for this to happen. Hopefully, now you have some good branding strategies and ideas. Do not count out marketing just yet though as both strategies are essential to keep a business going, expanding and resonating with a new audience. 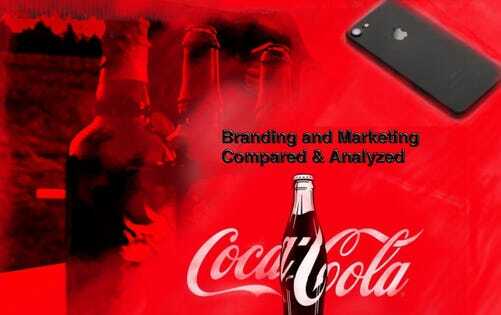 There are some clear differences between branding and marketing, but both fall into the sphere of awareness. Branding, marketing, sales and public relations are things most successful companies take pride in and put a heavy emphasis on. Do not be left in the dust and before launching a product think of some good cathphrases, invest time in a logo and visual content for your packaging or website and find a unique message to resonate with your audience. Keep these things in mind and you should have a good start in your branding and marketing efforts going forward.